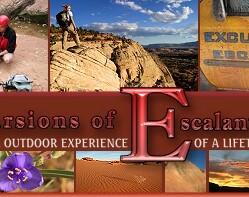 We are Escalante's locally based Professional Guide Service. on THE BEST TRIP EVER...AGAIN! 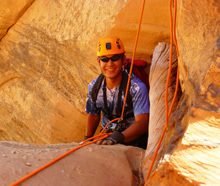 We are in our 21st year as Escalante’s first locally based professional guide service. Our commitment is to safely guide our guests beyond the more accessible places (Spooky, Peekaboo, Big Horn, etc.) and into the most remote, beautiful and pristine corners of the Escalante region. 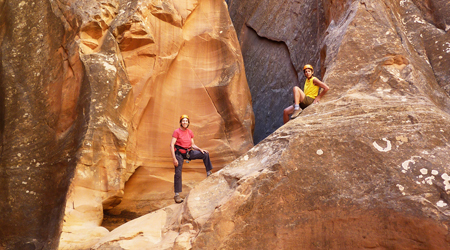 Our permit in the Grand Staircase Escalante National Monument allows us to offer unparalleled off trail canyoneering and hiking adventures. Our niche is in guiding limited group sizes. 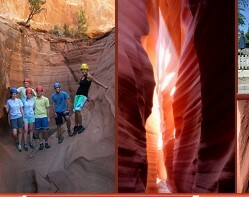 This allows us to cater specifically to our guests’ abilities, interests and sense of adventure. 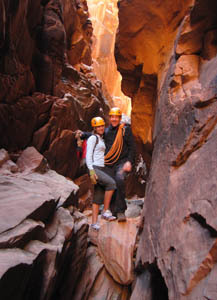 Tours range from slot canyon hiking to canyoneering adventure tours. 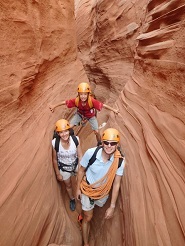 With a seemingly countless selection of canyons, we can safely match our guests to the canyons perfect for their ability. Working with small groups enables us to efficiently meet and exceed our guests’ wide range of outdoor expectations. We have the guides and the gear ready to go, so now it's simple. Check out the rest of our website. 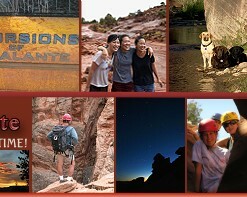 We are happy to assist with reservations and in getting your Escalante adventure started. Hiking & Backpacking "Guide of the Year"